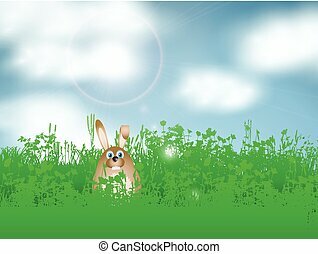 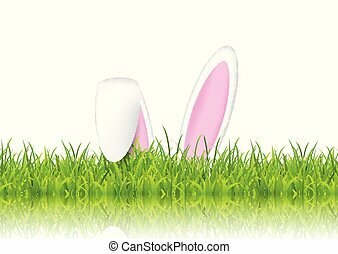 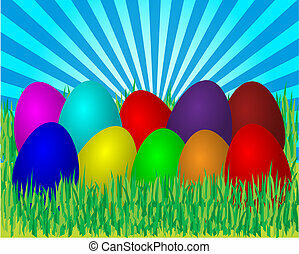 Easter eggs in grass. 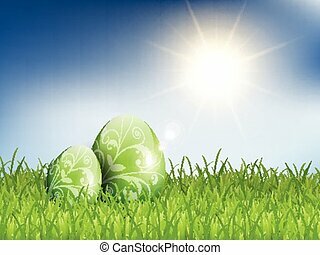 Easter eggs in grass on a sunny day. 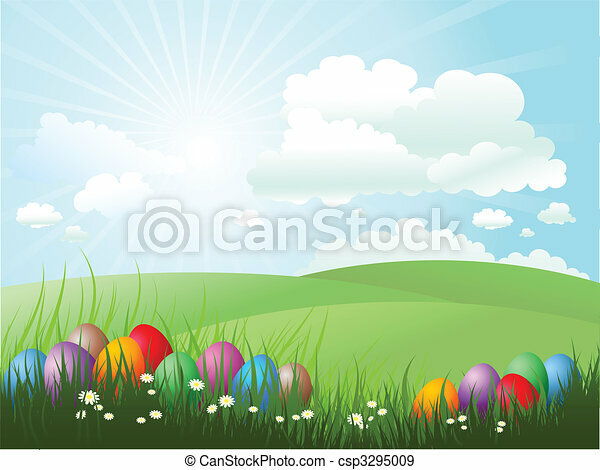 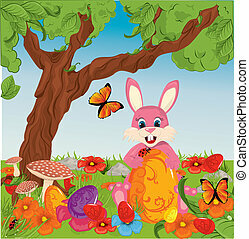 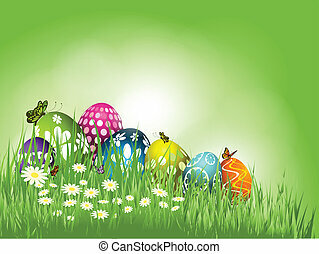 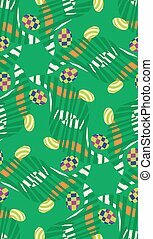 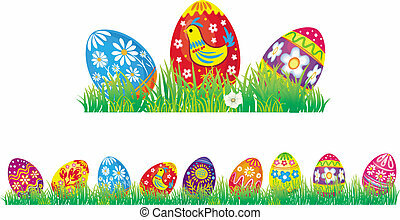 Colorful Easter eggs in grass with flowers isolated on white background. 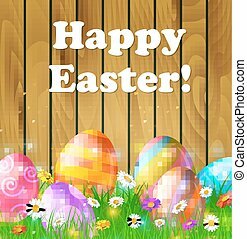 Lettering Happy Easter, illustration. 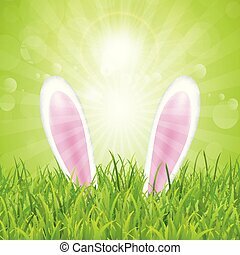 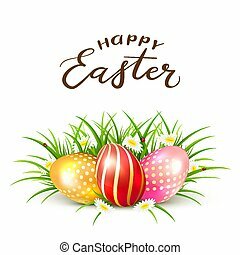 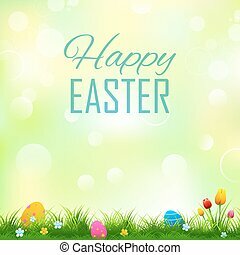 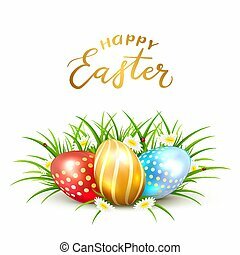 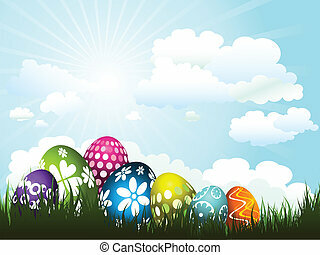 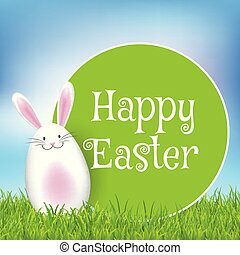 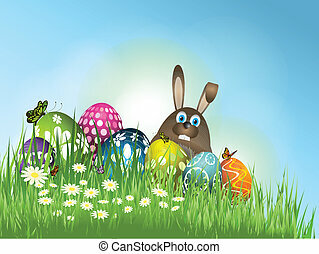 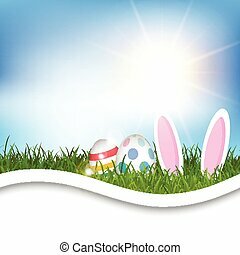 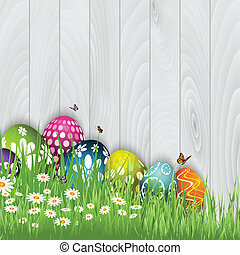 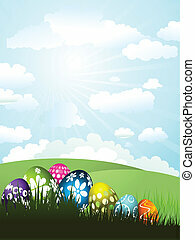 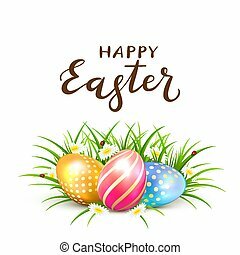 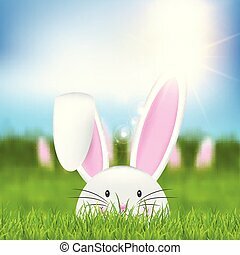 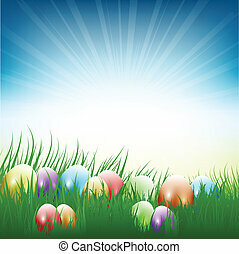 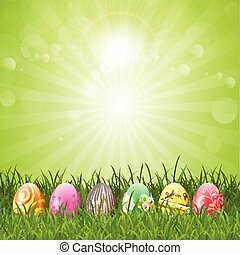 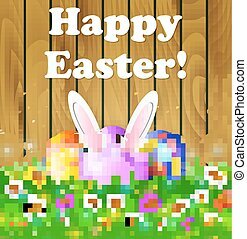 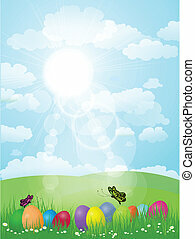 Three colorful Easter eggs in grass with flowers isolated on white background. 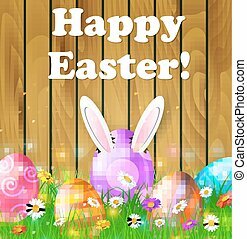 Lettering Happy Easter, illustration. 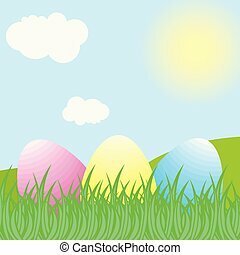 Three colorful Easter eggs in grass with flowers. 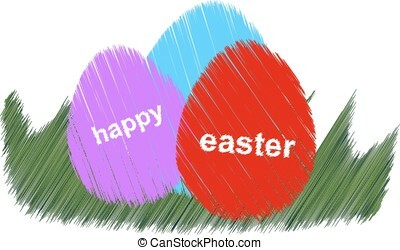 Lettering Happy Easter, illustration.